There is no one magic thing that will stop food recalls from occurring. Ultimately it involves every aspect of a food business from Safety and Quality teams to maintenance, to people working on the line. Every little bit helps. 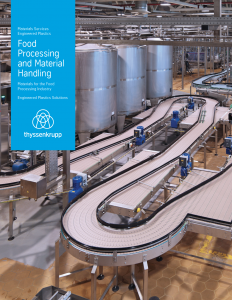 When it comes to equipment in food processing facilities, whether it’s a chute, a conveyor, an oven or mixer, more and more often quality, maintenance, and engineers are turning to detectable materials as another avenue to help reduce food recall incidents. Detectable materials have been designed by top engineering plastics manufacturers and extruders including Ensinger and Quadrant Engineered Plastics specifically for the food industry. Each one is FDA compliant for direct contact with food so they can be used in numerous applications. 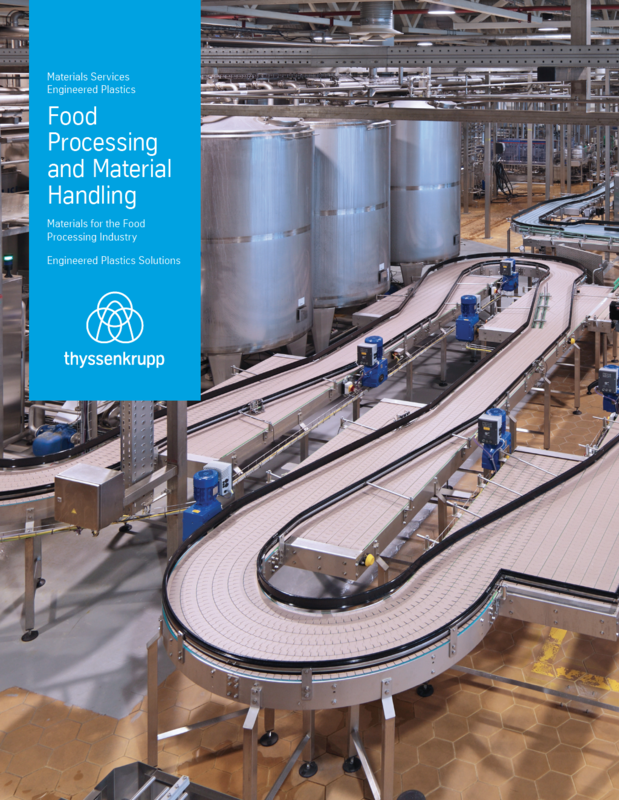 Download Ensinger’s white paper and our Materials Guide for the Food Processing Industry for more information. There are four main types of detectable materials: Visible, Metal Detectable, X-Ray Detectable and Ultra Detectable (this combines all three methods). As an engineering plastics distributor thyssenkrupp Engineered Plastics streamlines your selection process because we stock both Ensinger and Quadrant Engineered Plastics materials. In addition we train and work with our manufacturers on a regular basis and we work with customers like you everyday, helping you to solve your material selection challenges. Each detectable material has it’s own characteristics and properties, so its important to evaluate any potential plastic material on your equipment and in your environment to ensure it works as you need and expect it to. It can take time, but we can help to pare down the initial list of many materials to a few based on our experience and knowledge making the task easier for you. In addition we look not only at materials but, which is the best to balance performance and value for your application. Our materials guide is an excellent starting points if you want to learn more about these specialized materials, how they work, their compliance to FDA and other standards and more. Our guide also includes a comprehensive selection of materials for all sorts of food processing needs from cutting boards, clear plastics, materials for plant signage and more. Along with Ensingers White Paper and our catalog onlineplastics.com is another excellent resource to materials for the food processing industry. It’s fast, easy and mobile friendly 24/7 access. Most of all – give us a call at 877.246.7700. We are a team of real people with real hands on plastics experience and when it comes to pairing applications with materials that can sometimes be the best help of all. We know it isn’t about finding a plastic, it’s about finding the right engineered plastics solution for your application. If you are interested in pricing, complete a request for quote here. Let us know which material, the size and quantity and we will get back to you with pricing and lead times. This entry was posted in Distribution, Engineering Plastics, Food Processing, High Performance Plastics, Plastics, thermoplastics on November 9, 2017 by ainadmin.